salad is my favourite food. so I got a new salad book... you wouldn't think there was that much to discuss about salad... but there is! there is so much you can add to them - tofu, tempeh, kale, lentils... yum! Also this book is separated by season, so I went straight to the 'fall' chapter and made myself a chickpea salad. The salad was called 'smokehouse chickpeas 'n' greens salad'... but really I just followed the chickpea part of it. get a can of chickpeas and fry in olive oil until golden.... meanwhile mix up 1 tablespoon of tamari, 1 tablespoon of tomato paste, 1 tablespoon of maple syrup and 1 teaspoon of liquid smoke. I didn't have any liquid smoke so I skipped that bit and I didn't have enough for a tablespoon of maple syrup so I added some agave. whatevs, right? anyway, you add the mixture and then cook it for a while (4 minutes according to the book) and then take it off the heat and mix in some nutritional yeast flakes (2 tablespoons). After that you just mix it in with your salad - I had rocket, edame beans and roasted asparagus. I love this photo of my tofu! It's tofu that's been frozen and defrosted (for the chewy texture) and then dipped in soy sauce followed by a mix of nutritional yeast flakes, some bbq dust we had in the cupboard and a little polenta. it looks a bit like fish fingers. ayway, it was super good. it's also pretty much the same as the tofu I wrote about in my last food post, but y'know, cuter. I've just finished reading Chocolates for Breakfast by Pamela Moore. Oddly, no one eats chocolates for breakfast in this book, but thy do have champagne, martinis, scotch and bloody marys. This novel was originally published in 1956 when the author was almost nineteen, and it was supposed to be the American answer to Bonjour Tristesse. The book is really fun to read but has a dark undercurrent too... there is lots of drinking, dinner dates and lying by the pool and it is set both in Los Angelese and New York. There is a really great introduction by Emma Straub and insights and interviews at the end written by different people, including Pamela Moore's son. Pamela Moore wrote other novels - none of which are available at the moment - and was writing one when she killed herself in 1964 at the age of twentysix. "Readers who love The Bell Jar, Perks of Being a Wallflower, The Catcher in the Rye, and The Dud Avocado will swoon." On a recent Saturday Becky Adams came to run a craft session for me at work. I met Becky a few years ago on another project and she is such a delight to work with and so sweet and friendly that I'm always trying to think of excuses to work with her again. Also her work (textile art) is totally gorgeous and magical. The workshop she ran for us this time was all about textile books, she showed us an example of her work and gave us instructions on what to do, but mainly told us to play with the different fabrics and papers she had brought. also if you are south wales based there is a craft fair on in city hall called made by hand which runs form 31st oct to 2 nov 2014. Becky will be selling her work there, along with loads of other great people! Me and bert have free tickets for the friday (thanks!) so we'll be checking it out and reporting back. it's hard to make tofu look good, and I know I haven't succeeded here. It tasted so good tho, so who cares? This tofu was frozen and then defrosted so that it gets that really good chewy texture and then I dipped it into a marinade made of olive oil, soy sauce and maple syrup. Once it had soaked up a bit of that marinade I then drenched it in a mixture of nutritional yeast flakes, cornflour and some BBQ dust from my the vegan kind box. After that I fried it in vegetable oil. Gnhahnhenh. I love both of these cakes - one's chocolate and the other is strawberry. homemade beetroot burger in a bagel with some 'creamed' corn made using fresh corn and a little soy milk. and a delicious lunch (also from chapter) featuring lentils and butternut squash. 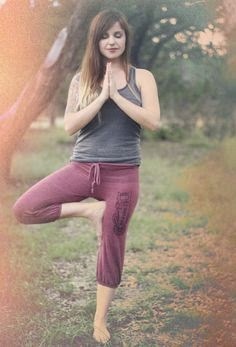 I've had my eye on those yoga pants on the left for quite a while - they are from skylinefever which is a super cute etsy shop. 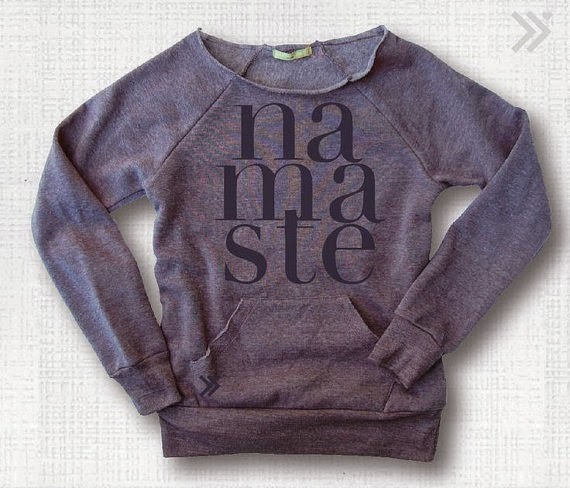 I love the namaste top too - it's from everfitte. I already have two of those vests on the left (which are from sweaty betty) one in black and one in gray. They are so perfect tho that I think I need a few more. 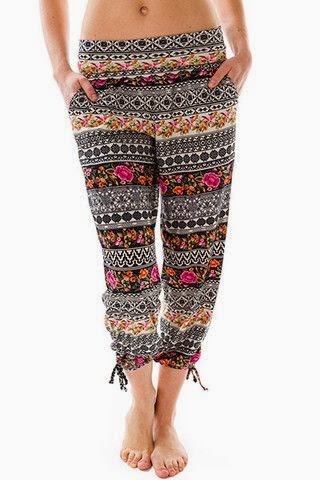 I really like the pattern and the style of those yoga capri's on the right. They were from urbanyoga but don't seem to be available any more. gah, I missed my chance. what yoga mat do you use? and where do you get your yoga clothes? When it starts to get all autumny it just makes me want to stay in, read books and drink tea. We've got beautiful weather here in cardiff at the moment - sunny and dry, but cool enough to perhaps pop on a crochet shawl! I love the title of this young adult book and have been wanting to read it got a while. It's a sweet summer read that I enjoyed a lot but it perhaps won't stay with me. Lovely light, fun read though about relationships and families. Recently I've been watching a lot of booktube videos (people talking about books on youtube) And this was one that someone talked about about.... Also Bert said it looked good too. It has a really great cover as well. Totally lime green stylish. Anyway, this is a winning mix of coming of age and being confused about your sexuality and giant bugs. Really. I adored the first half which was also pretty funny, the whole bug/possible end of the world thing lost me a little towards the end , it's still totally great though and I'm itching to read more by this author. This was another young adult and another confused about sexuality book, it was also another one I heard about on booktube. I thought this was lovely - it's set in the late 80s and is all about two Mexican American boys. It's great to read books that have more diverse characters too - there's been some stuff recently about how most young adult books are really white, so yay for Mexican writers! and gay writers! whoop! This was this month's reading group book. As a whole, the reading group really liked this book but found it too bleak. It's set in 60s Tiger Bay in Cardiff so I liked reading about places I knew, and it was bleak - dealing with abuse, poverty and mental illness. Oddly, for me though, although I found the book pretty compelling, I didn't feel connected to it in any way.... huh. I read this pretty much in a day and it is a real page-turner. I couldn't stop reading it. I gave it 3 out of 5 stars - it's totally fun and plot driven and the writing is fine... but, I'm kind of unsure of it all. Oh gosh, LOVED this!! I cried at the end. Don't want to tell you too much about it as it's best to go in without knowing much. I loved the way it was written and I loved the subject matter. This book is on the booker shortlist - I hope it wins. i've read 61 books so far this year! whoop!